ParkingSoft is pleased to announce the acquisition of SEMtech Systems, LLC based in Rochester, New York. As one of New York’s fastest growing commercial access and parking control service and support companies, SEMtech is a welcome addition to the ParkingSoft family. “SEMtech is very excited about the acquisition and we look forward to extending the footprint of ParkingSoft’s technology in the New York area,” says Steven Benz, co-founder of SEMtech Systems. “Having worked with SEMtech over the last few years, ParkingSoft is fortunate to acquire a known quantity in terms of reputation and capability. 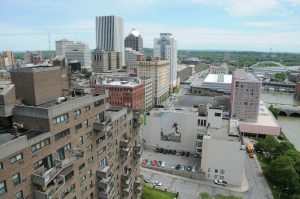 This move allows us to more directly support the New York marketplace and key customers such as the City of Rochester” said Michael Canzian, ParkingSoft’s CEO.